Italian horror offers some of the most popular and beloved films of the genre. With names like Dario Argento, Mario Bava, and Lucio Fulci, there’s plenty of content to choose from, and it’s pretty much guaranteed that whatever movie you find will be violent and equally gory. But, hey, that’s what people come to expect in horror movies, right? For this review, we’re going to be looking at arguably the most famous film by the Maestro of Gore, himself, Lucio Fulci. Zombie may just be an unofficial sequel to George Romero’s Dawn of the Dead, and an attempt to cash in on the zombie craze, but this film actually stands alone as one of the greatest zombie films ever to be made. When Dr. Bowles (Ugo Bologna) goes missing and his boat carrying a rather large zombie shows up in New York Harbor, his daughter Anne (Tisa Farrow) is brought in for questioning. While investigating the boat herself, she meets Peter West (Ian McCulloch), a journalist with the same questions she has. Their inquiries lead them to the Virgin Islands, where they hope the find the mysterious island of Matool. Along the way, they enlist the help of Brian Hull (Al Cliver) and his wife Susan Barrett (Auretta Gay), a seafaring couple who are more than willing to give them a ride on their boat. When the group gets to Matool, they find the island ravaged by zombies, whose numbers are increasing more and more each day. Their only chance for survival may lie with Dr. Menard (Richard Johnson), a scientist working to solve the mystery of these zombies who was also a close friend to Anne’s father. First, I’d like to give you a little history on this movie since it’s a bit out of the ordinary. It all starts in 1978 when George Romero released Dawn of the Dead, which was the sequel to his 1968 classic Night of the Living Dead. Internationally, this film was known as Zombi. 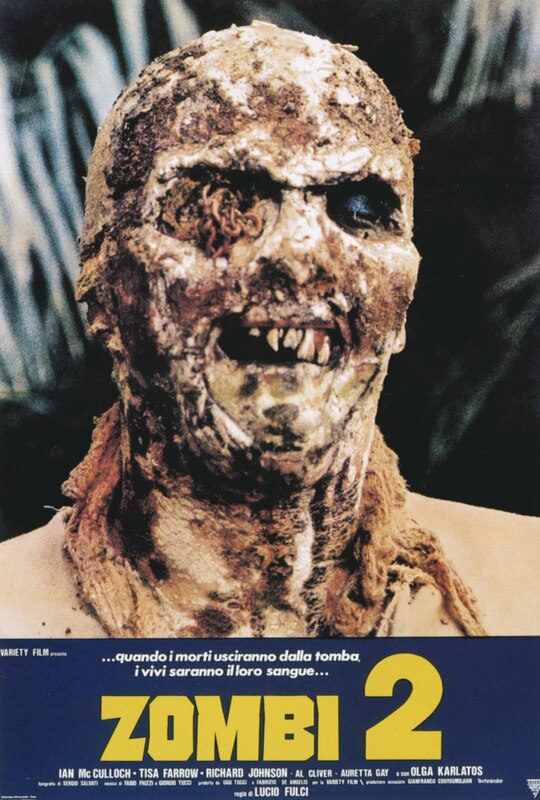 Now, in order to cash in on the massive success Romero’s film, the Italians decided to make an unofficial sequel, this being Lucio Fulci’s Zombi 2, now known as Zombie in the United States. This film has absolutely no connection to any of Romero’s movies, other than the fact that there are lots of zombies in it. Strangely enough, from this film, even more sequels were released. That gets a bit too confusing so I’m just going to stick with Fulci’s cult classic. Now let’s look at the movie itself. This is without a doubt one of the greatest zombie movies ever made. In a time when zombies have become a subject of parody, even within its own genre, it’s so satisfying to see a movie that takes its subject matter seriously. Let’s just say that when this movie was first released, it was banned in the UK for being too obscene, and as a fun gimmick, the theaters handed out barf bags. Sure, the whole barf bag thing is all in good fun, but that’s not to say that there aren’t some really sick scenes in this movie. Some are so gross that they have become iconic. The most famous scene has to do with someone slowly getting their eye pierced by a sharp piece of wood. This isn’t done offscreen either. Oh no. We see it in all its gory detail. Think Un Chien Andalou, but with zombies. Don’t get me wrong, though. Zombie is more than just a festival of gore. In fact, it’s still a pretty cool movie in its own right. Think of it as if The Serpent and the Rainbow and Cannibal Holocaust had a baby. There’s a lot of cool voodoo type stuff going on and the gore just kind of adds to how cool everything else is. The pacing moves very slowly, especially the scene with the boat pulling into the harbor. It adds a great sense of suspense and dread that overtakes the entire movie. 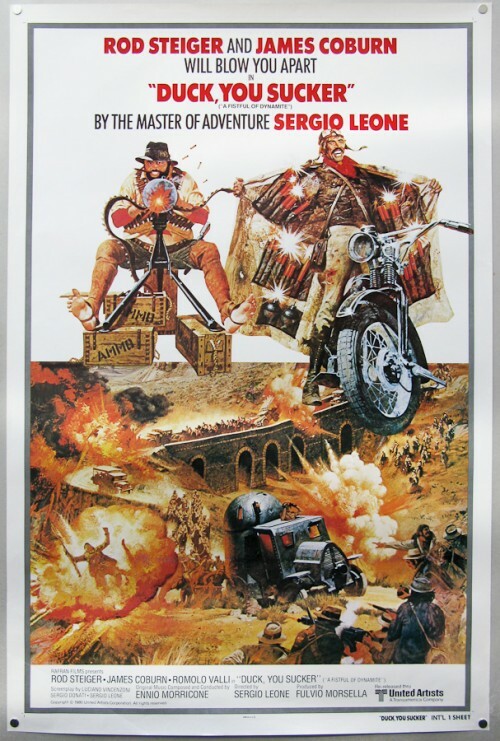 To top it all off, that late 70s Italian synth soundtrack just makes the movie all the better. It definitely feels like a movie from the 1970s, but it feels like a great one. No matter how you look at it, Lucio Fulci’s Zombie is a classic of the horror genre. It’s fill of suspense, gore, violence, and fantastic makeup and effects. Zombie movies have become something of a cliche recently, and that’s a shame because they used to reign as some of the greatest horror stories in film. This film may not be for the squeamish of feint of heart, nor is it a movie for people who treasure their eyeballs, but it is an important part of film history as one of the landmarks of horror, and also as a film that has earned its title of a cult classic. Oh boy, here we go again. This isn’t the first, nor will it be the last, time I’ve talked about that crazy weird Italian horror film maker Dario Argento. This time, we’re going back to the time before Suspiria, which I never even thought existed. Alright, that’s not true, but it was strange seeing what came before that one since I consider Suspiria to be the go to film for Argento. 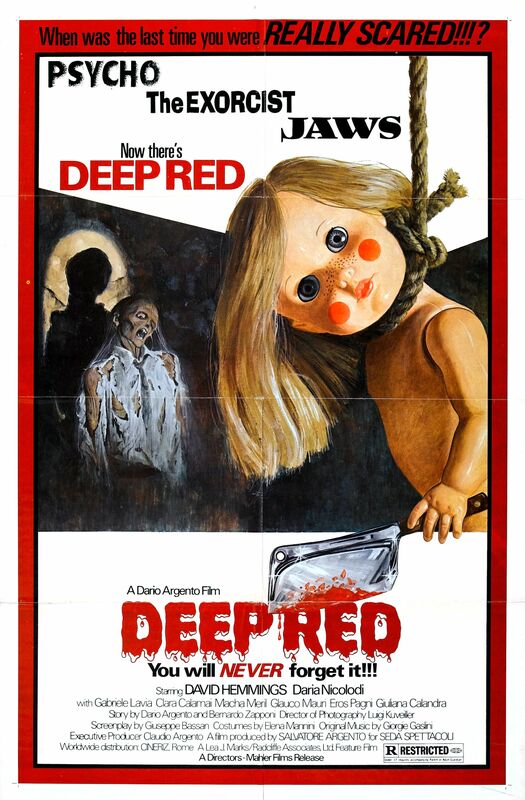 Two years before Suspiria there was a movie that many say is Argento’s best film, Deep Red. While there are a lot of great things in Deep Red that foreshadowed what excellent things this director was capable of, I felt that this movie lost its focus way to often to be really taken seriously. During a performance, psychic Helga Ullman (Macha Meril) begins sensing very violent thoughts being sent to her by someone in the audience. Later on that night, she is brutally murdered with the only witness being jazz pianist Marcus Daly (David Hemmings). 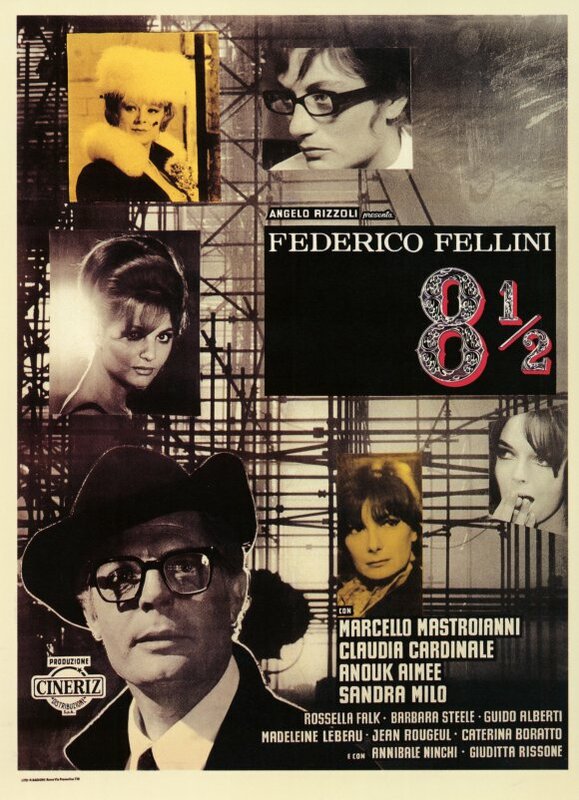 Soon, Daly makes himself part of the investigation along with the persistent journalist Gianna (Daria Nicolodi), but it aways seems like whenever the two find a clue or a lead, someone involved ends up dead in the most discomforting of ways. As the bodies begins to pile and resources being to run out, Marcus and Gianna begin to seriously wonder how the murderer seems to always be one step ahead of them, and also how long they will stay alive in order to uncover the twisted mystery of the murderer’s past. Depending on which version you see, you may have different takes on the movie. I saw the completely uncut version which runs a little over two hours. For some people who know me through this blog or in real life, you know that I’m a real stickler for run times. If a movie is too short or too long, the entire experience may be ruined. In this case, the movie was far too long. There are other versions that exist that run an hour and a half or an hour and forty minutes, which is a much more acceptable run time for a movie such as Deep Red. The extra twenty minutes to a half hour that were added in for the uncut version is just a bunch of bantering between Marcus and Gianna, which is really boring considering Gianna is pretty much a useless character to begin with. That is really the main problem that I have with this movie. Those added scenes that make the “complete” movie completely veer from what makes Deep Red fun and exciting. But that’s not the only thing that rubbed me the wrong way. At first, I thought whoever was responsible for the sound design should be executed, because it is absolutely horrendous. 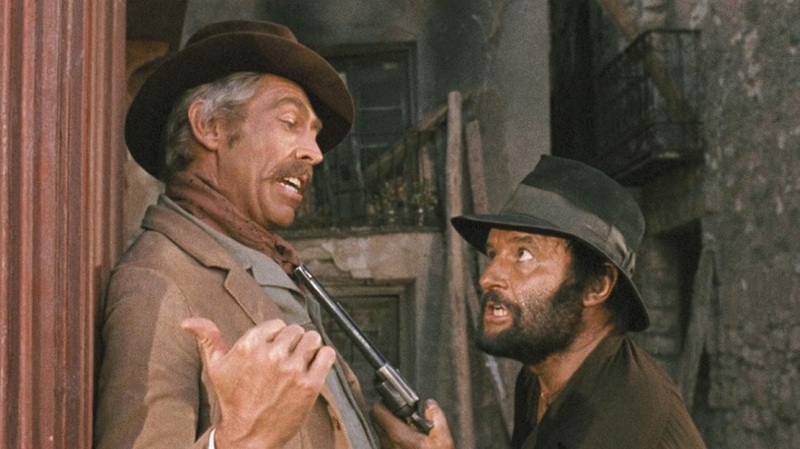 The cast would all of a sudden start speaking Italian and then back to English, which is weird enough, but the Italian voices didn’t match the English voices at all. It’s laughable! 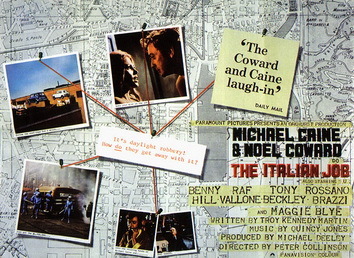 Turns out, the movie was originally shot in Italian with English voices dubbed over, but some of the English was lost which meant that the Italian actors spoke with their real voices in some scenes, and someone else’s voice altogether when they were speaking English. Talk about distracting. But, let’s be real. This movie isn’t all bad. In fact, there were some scenes that literally almost made me jump up and down out of sheer excitement. These served as a reminder as to why horror buffs love Dario Argento in the first place. First of all, the death scenes in this movie are so strange that you can’t help but chuckle at the morbid silliness. Sure, they’re kind of gross at times, but there’s plenty of that trademark bright red Argento blood to fill the screen. There are also other frightening scenes that are wonderfully unique, including a hidden skeleton behind a wall and clever usage of children’s music. Also, the soundtrack by Goblin, who would also do the soundtrack to Suspiria, really drives the action onscreen. All in all, Deep Red is a disappointing film for me. There are some really excellent scenes of horror, but above all else, this movie is a mystery film. I’d be totally fine with that if the focus was kept on the mystery and not the useless banter between the main protagonist and another character that serves next to no purpose. It’s really a shame since there are sections of this movie that are sincerely creepy, while there are more scenes that are really boring. I’d be curious to watch another version that’s shorter to see if I enjoy it more. Still, Deep Red is reserved to horror buffs only. When a movie from as early as 1960 has the ability to give me the willies, I will hold it in the highest regard. 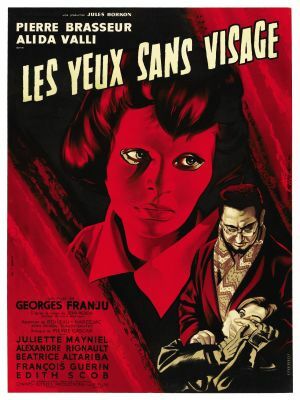 A fine example of this would be Georges Franju’s Eyes Without a Face. Franju never actually considered this a horror movie, but described it solely as a “tale of anguish.” While I definitely agree with that, one simply can’t ignore the horror aspects that are present all throughout the film, from the gothic settings and architecture to the mad scientist archetype. 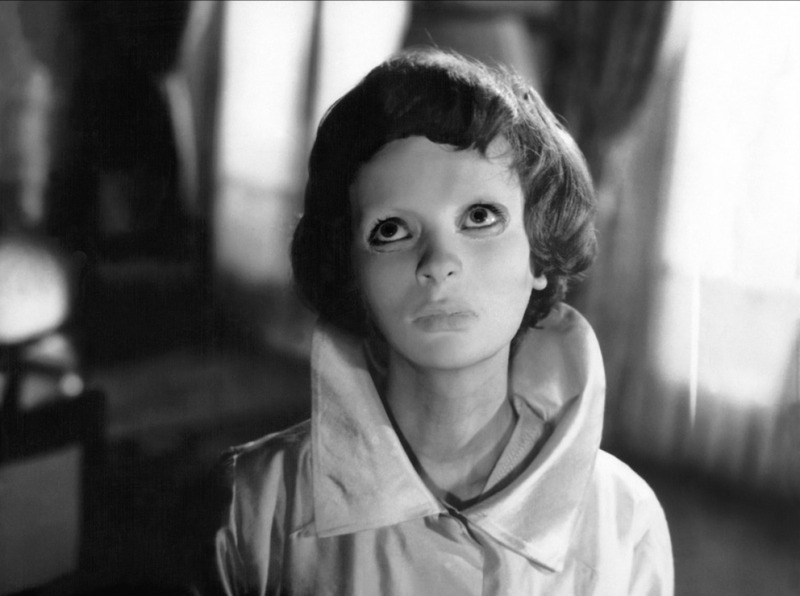 While Eye Without a Face is unsettling and, at times, gruesome, it still maintains a poetic flow which can only be seen to fully be understood. From an outsider’s perspective, Dr. Génnesier (Pierre Brasseur) appears to be a respectable surgeon who serves the community well. If you take a closer look, however, you will notice that he isn’t such an average doctor. Génnesier is actually on a very personal mission of redemption, and by his side is his assistant, Louise (Alida Valli), who goes into the city and lures women of a very specific age group and appearance back to Génnesier’s mansion. The whole reason behind these string of kidnappings is that the mad surgeon is trying to graft another woman’s face to that of his daughter’s, Christiane (Edith Scob), who lost her face in an accident cause by her father. As Génnesier keeps attempting and failing at these grafts, suspicion begins to arise in the town and his best kept secret may be brought to light. If I were given the task to describe Eyes Without a Face using only one word, I’d call it “mystifying.” The way people move from scene to scene along with the continuity of the mise en scène can easily put a trance on the viewer. It’s tranquil in the most gothic sense of the word, with dark roads lined with naked, twisted trees and the beautiful mansion is just as easily destroyed with unapologetic scenes of gut wrenching imagery. Without giving too much of the plot away, there is a scene where the audience gets to be present when Génnesier is performing one of his surgeries, and we see the scalpel going under the skin and other icky things in full graphic detail. Definitely made me cringe. I will admit that the first time I watched this movie, I wasn’t too impressed. I recognized that it was beautiful, but I was really expecting a straight forward horror movie and was disappointed when that wasn’t what I got. I wasn’t the first either. When this movie was first released in the U.S. in 1962, it was titled The Horror Chamber of Dr. Faustus and was paired with a Japanese schlock horror film, The Manster. Could you imagine going into that double feature expecting goofy, mindless trash and getting this? Upon this second full viewing, I have really come to appreciate and enjoy how phenomenal this movie is. The graphic scares of this movie are actually very sparse. The real horror comes from the entire eerie atmosphere. First of all, the white human-ish mask that Christiane has to wear over her disfigured face is straight up creepy. I always found things that are almost human, but not quite can be more unsettling than the most out there movie monster in the history books. While the gross scenes involving disfigurement and surgery are memorable, I’m surprised that Christiane’s mask and entire outfit isn’t more iconic. While Pierre Brasseur gives an excellent performance as the doctor, I feel like Edith Scob’s ghostly movements and acting with her eyes when behind the mask are just haunting. 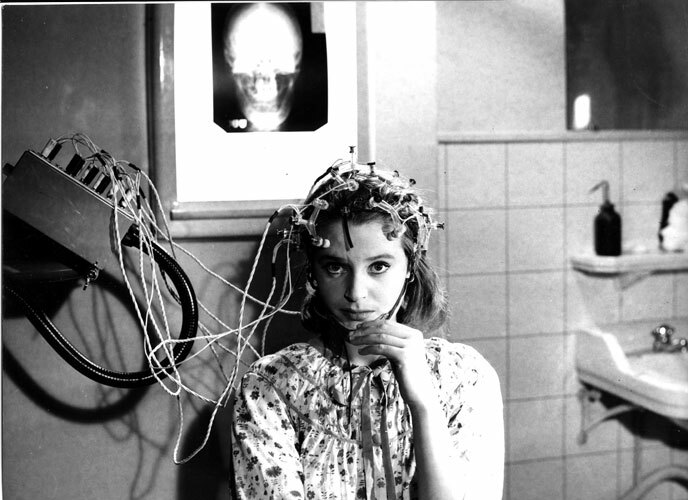 If you’re in the mood for mindless horror that only can supply you with jump scares and gore, than Eyes Without a Face is the antithesis of what you are after. There is enough gore for it to be impressive for the time, and it really was a ballsy movie, but that’s not what makes the movie great. The beautiful gothic atmosphere, constant feeling of dread, and performances is what really makes Eyes Without a Face a classic that, despite being restored and released on the Criterion Collection, isn’t as well recognized and known as it really should be.